Burr Fest Pre-Party on tonight, we have a whole host of fantastic artists across the weekend! and has toured as support to AC/DC. 2) Firebird Seven featuring former Maiden guitarist, Bob Sawyer. 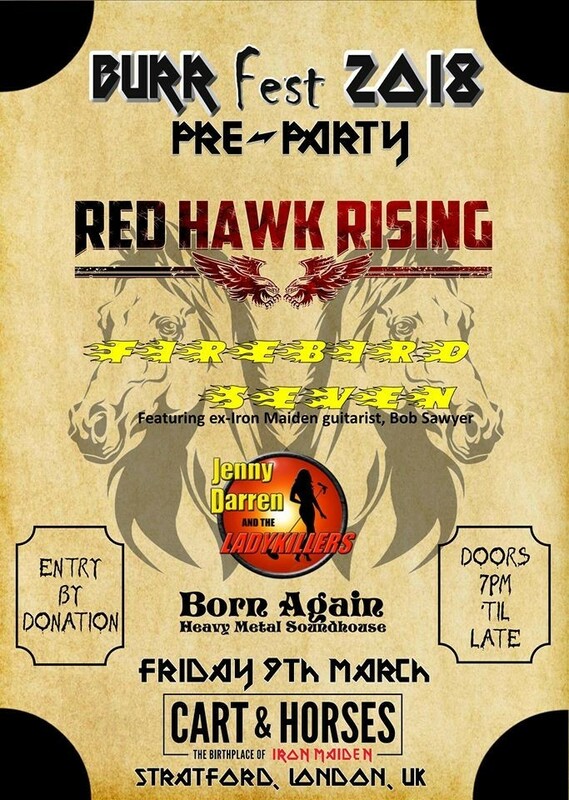 3) Red Hawk Rising, hailing from London, bringing their heavy brand of rock! See you tonight at Cart & Horses.